Shop online for 30 smalltown model trains at discounts up to 23%. 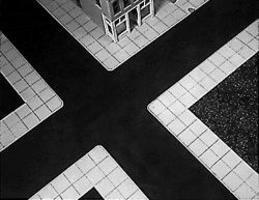 This Smalltown USA Package Includes 6 HO Scale City Sidewalk Plastic Lengths That Can Be Included On Your Train Layout. 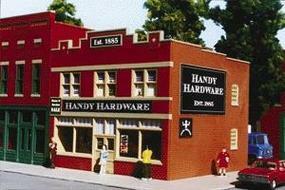 This Smalltown USA HO Scale Plastic Assembly Kit Makes a Hardware Store That Can Be Included On Your Train Layout. This is the Vicky's Kit from Smalltown U.S.A. 51 x 35 Scale Feet in HO-Scale. This Smalltown USA HO Scale Plastic Assembly Kit Makes Helen's Country Kitchen That Can Be Included On Your Train Layout. 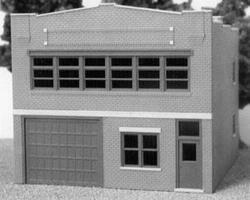 This is the Rusty's Graphic Arts Talltown Building Kit from Smalltown U.S.A. 7-7/8 x 4-13/16'' 20 x 12.2cm - HO-Scale. This Smalltown USA HO Scale Plastic Assembly Kit Makes a Pacel Delivery Service That Can Be Included On Your Train Layout. This Smalltown USA HO Scale Plastic Assembly Kit Makes Vivian's Family Shoe Store That Can Be Included On Your Train Layout. This Smalltown USA HO Scale Plastic Assembly Kit Makes a Furniture Showroom That Can Be Included On Your Train Layout. This Smalltown USA HO Scale Plastic Assembly Kit Makes Tina's Tart Shoppe That Can Be Included On Your Train Layout. 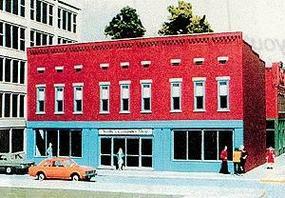 This is a Smalltown USA HO Scale Plastic Assembly Kit of John's Place. This Smalltown USA HO Scale Plastic Assembly Kit Makes a Drug Store That Can Be Included On Your Train Layout. This Smalltown USA HO Scale Plastic Assembly Kit Makes a Dime Store That Can Be Included On Your Train Layout. This Smalltown USA HO Scale Plastic Assembly Kit Makes Kevin's Toy Store That Can Be Included On Your Train Layout. This Smalltown USA HO Scale Plastic Assembly Kit Makes Marcee's Flower Shop That Can Be Included On Your Train Layout. 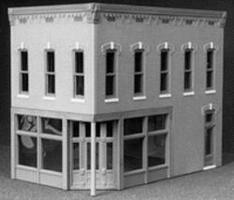 This Smalltown USA Plastic Assembly Kit Makes Sally's Antiques that can be included on your HO Scale Train Layout. This Smalltown USA HO Scale Plastic Assembly Kit Makes Tony's Gym That Can Be Included On Your Train Layout. 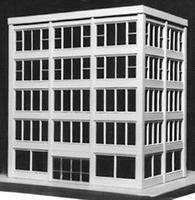 This is the Rogy's Talltown Buildings Kit from Smalltown U.S.A. 9-1/2 x 4-1/8'' 23.7 x 10.3cm in HO-Scale. This Smalltown USA HO Scale Plastic Assembly Kit Makes Mike's Market That Can Be Included On Your Train Layout. 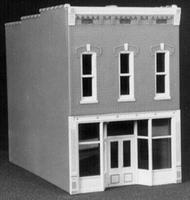 This is the Buck's Book Shop Kit from Smalltown U.S.A. 4-3/4 x 2-3/4'' 11.9 x 6.9cm - HO-Scale. This Smalltown USA HO Scale Plastic Assembly Kit Makes Roy's Fix-It Shop That Can Be Included On Your Train Layout.